CoinCap.io is a crypto listings website that contains key information and metrics in relation to different crypto assets. The key information provided is the price but other metrics such as volume and coin information is provided. 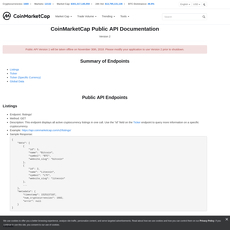 Clicking on the CoinCap.io API on their page will redirect the user to their GitHub. 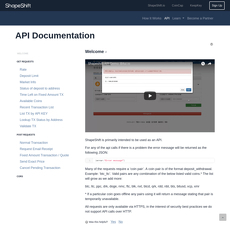 The GitHub contains all the documentation in relation to the API. CoinCap supports REST and WebSocket protocols. 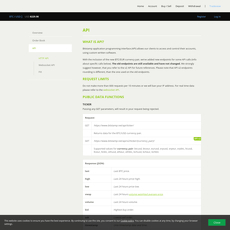 The API has been available since around June 2015. 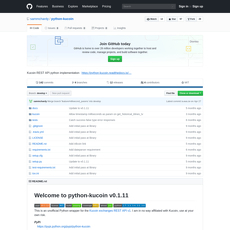 The API is active on GitHub with over 150 forks and almost 100 watching. Users have noted that CoinCap's API is easy to use and very accessible. However, it has also been noted to be missing some key information which can be useful to traders and developers. Examples of some information which is missing include 52-week lows and average volume. There have also been some reports from users that the pricing information can be incorrect. Overall, CoinCap is a subpar API solution. Other API's contain more metrics and information and also have better user reviews with regards to price. 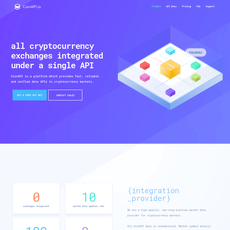 There are also other API with dedicated support and tailored solutions such as Binance and CoinAPI.